I told the girls that you got first pick (that you should have had first pick before they were sent, but that your brother didn't ask you (and that he should have). Let me know what numbers you want me to package carefully for you. Regarding the pins, unless you pick it for yourself, I want to send #6 to Abi (and there is no 27, I goofed the numbering). 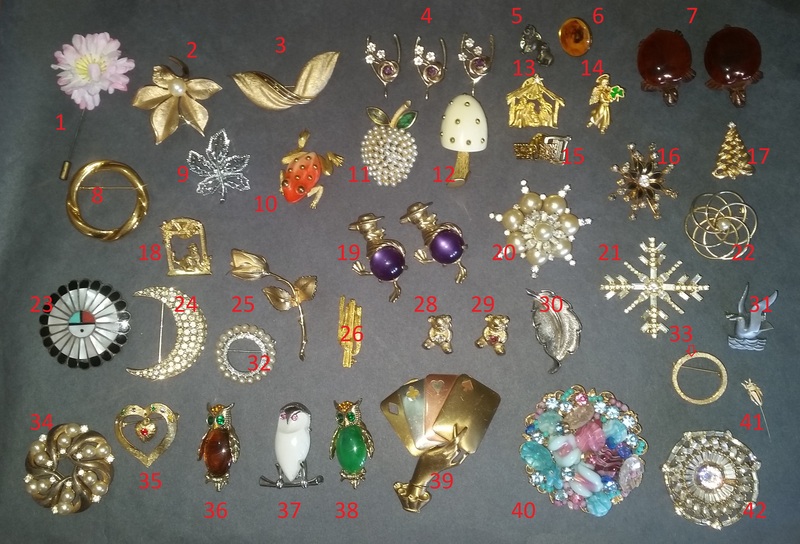 All the jewelry was just piled in a box; it took about 45 minutes to detangle it (and we're still matching earrings, etc).